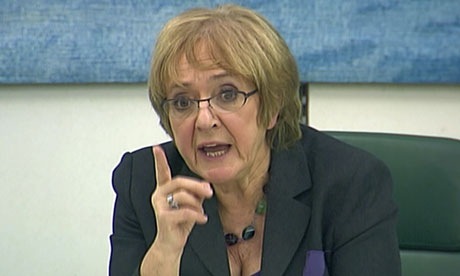 The inquiry said it did not see any “realistic prospect” of it’s publication of the report before elections are due to be held on the 7th May 2015 and the inquiry will probably face being questioned about it’s delay by a committee of MPs, while the chair of the Commons Foreign Affairs Committee, Sir Richard Ottaway asked Sir John Chilcott to explain why the publication of the report has been delayed. The inquiry was initially set up in 2009, under Gordon Brown to examine not only Britain’s involvement and it’s initial decision to go to war but also any cases of misconduct of British troops amidst claims of torture by both US and British allied forces against Iraqis forces and civilian. The report was expected to reach it’s conclusion within about three years and held it’s last hearing in 2011, following an unprecedented call for Tony Blair to give evidence to the inquiry in 2010. 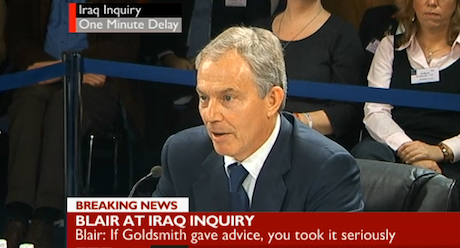 There was even speculation by many political observers and even MPs that delays of the reports findings may have occurred due to involvement or intervention from the former Prime Minister Tony Blair or those close to him pointing to a cover-up of the findings of the report following the invasion of Iraq by British and American forces after Tony Blair’s claim that Iraq had weapons of mass destruction and after his decision to ignore, many people believe unlawfully, the United Nations Resolution 1441 in November 2002 that offered Iraq under Saddam Hussein one last final opportunity to comply with disarmament obligations. Leaders within coalition British Government have expressed concern over the delays with Nick Clegg saying that the delay was “incomprehensible” and former Conservative leader Iain Duncan Smith saying the delay was “disappointing”. 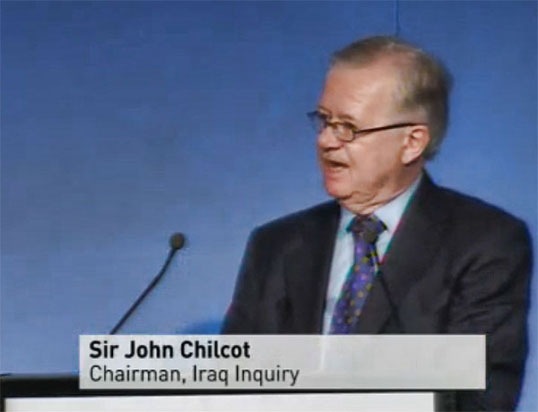 Sir John Chilcott had written to the David Cameron informing him that “substantial progress” had been made but that those criticised by the report needed an opportunity to respond to the criticism so far provided in the report. Mr Cameron in reply to Sir John has said he would have like to have seen the publication already and has criticised the former Labour Government for it’s delay in being published. MPs will debate a motion to approve the draft Terrorism Act 2000 (Proscribed Organisations) (Amendment) Order 2015 in the House of Commons on Wednesday 21 January 2015. Proceedings on the draft Terrorism Act 2000 (Proscribed Organisations) (Amendment) Order 2015 will follow the conclusion of today’s Opposition Day debate on the NHS. The draft Terrorism Act 2000 (Proscribed Organisations) (Amendment) Order 2015 was laid on 20 January 2015 under the affirmative procedure. The instrument must be approved by the House of Commons and House of Lords before it can come into force. Once approved the instrument will add ‘Jund Al-Aqsa (Soldiers of Al-Aqsa) and Jund al Khalifa–Algeria (Soldiers of the Caliphate in Algeria)’ to the list of proscribed organisations in the Terrorism Act 2000. The Government is today initiating a historic agreement with Switzerland to tackle offshore tax evasion in an effort to resolve the long-standing abuse of Swiss banking secrecy by those who seek to conceal the proceeds of tax evasion, this measure is expected to secure billions of pounds of unpaid tax for the UK exchequer starting from 2013. The Treasury has today published an unaudited summary of the Whole of Government Accounts (WGA) for the year 2009-10. The Government made available the key balance sheet analysis contained in this summary to the Office for Budget Responsibility (OBR) to enhance their analysis of the sustainability of the public finances in their first ever Fiscal Sustainability Report, also published today. This is the first ever set of publication of information for the whole of the public sector, covering over 1,500 public bodies, and has been 10 years in the making. The full, audited accounts will be published in the autumn and will be the most ambitious in scope produced in any country. The publication of this summary represents a leap in the transparency of reporting the Government’s future liabilities. It represents a snapshot of the Government’s financial position on a commercial accounts basis. Its aim is to enable Parliament and the public better to understand and scrutinise how taxpayers’ money is spent. While the new information it presents does not affect the fiscal position, the analysis it includes on, for example,Private Finance Initiative (PFI ) and public service pension liabilities makes clear the scale of the fiscal challenge the Government faced before the June 2010 Budget. The Accounts show that the public service pension liabilities as of 09/10 were £1.1 trillion pounds. They also show that PFI capital liabilities as of 09/10 were over £35 billion. The OBR’s assessment in their Fiscal Sustainability Report is that these liabilities relate to about 90 per cent of all operational PFI assets, which suggest the total capital liability was closer to £40billion. The difference arises due to the internationally recognised accountancy standards used in WGA.